This week we are bringing you an interesting newly released cigar. Rocky Patel’s newest edition to the Edge series, the Candela. April 10, 2012 (Bonita Springs, Florida) The Rocky Patel Premium Cigar Company announced today the release of The Edge Candela. 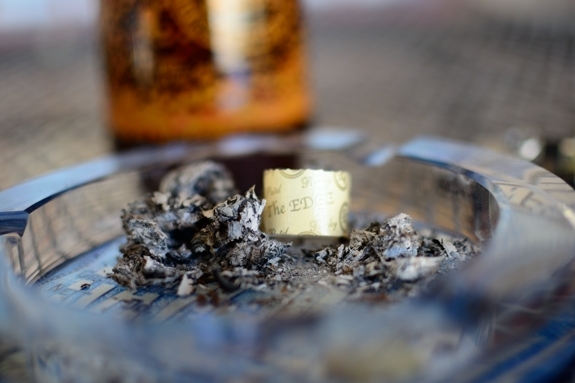 The Edge Candela is a medium bodied cigar and the latest addition to The Edge line. 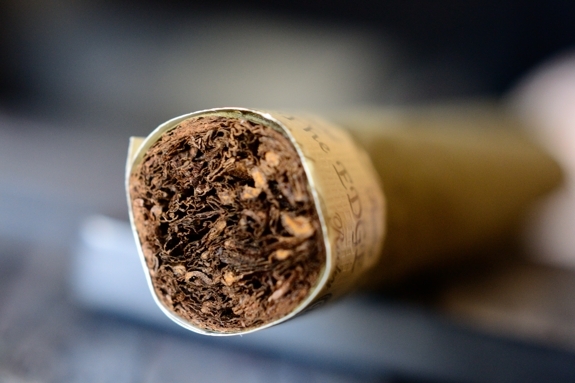 The candela wrapper gives the blend a truly unique flavor, consisting of sweet spice and floral tea, ultimately lending a creamy finish. The wrapper is a Habano Seed Candela, and the binder and fillers are a secret. Says Rocky Patel of the new Edge Candela, “I blended the Limited Edition Edge Candela for The Edge fans – it still holds the flavor profile that is so beloved by Edge lovers every where, and the wrapper just gives it a distinctively spicy and creamy twist”. The Edge Candela is available in Toro size (6 x 52) and is sold in boxes of 20. It is a limited edition product with only 1,000 boxes made by the El Paraiso factory in Honduras. The cigar retails for $6.40. Just released, it is now available at all fine retailers. 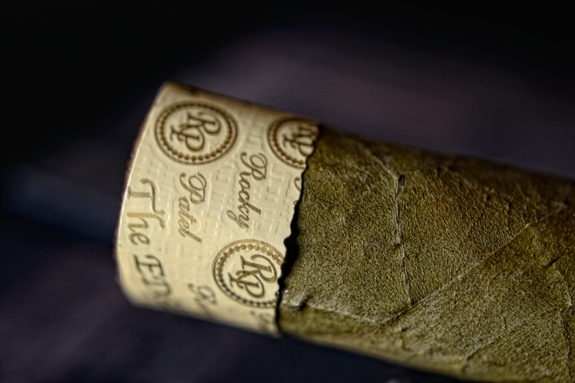 Located in Bonita Springs, Florida, the Rocky Patel Premium Cigar Company began producing high quality premium cigars in 1995, based on Rocky’s passion for cigars, and his desire to share his unique cigar blends with cigar connoisseurs around the world. Rocky is also very active in raising money for underprivileged children in Honduras, with his RP Foundation. Current Rocky Patel cigar brands include: Decade, Olde World Reserve, Edge, 15th Anniversary, the Vintage Series, Thunder, Xen and “50”. For more information visit their Website at www.RockyPatel.com. And there you have it! Now let’s get onto the review. Prelight: The Rocky Patel Edge Candela isn’t a pretty looking cigar, then again, in my opinion Candela seldom is. 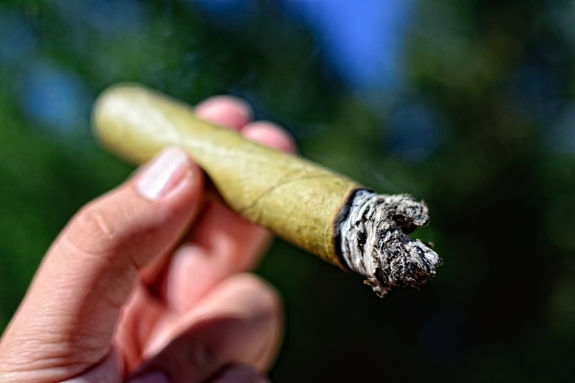 It looks like a standard Connecticut cigar had a bad dinner and got sick. Anyways, as far as the construction goes these sticks are spot on. The wrapper starts off with its strange, pea green color. The wrapper is really firm, very toothy, and semi-dry. There really aren’t a lot of oils spread across this thing. Where the Edge Candela lacks in oils it makes up for in veins. 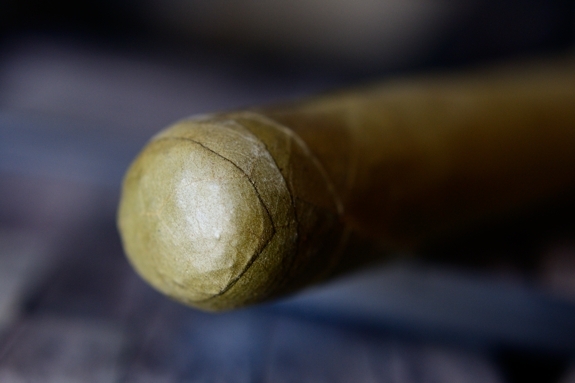 They aren’t large at all, and more than likely won’t affect the experience, but there sure are a lot of the them spanning the length of this cigar all the way up to the double cap. The Edge Candela carries the same band as the edge series, manila in color, and draped around the foot of the cigar. 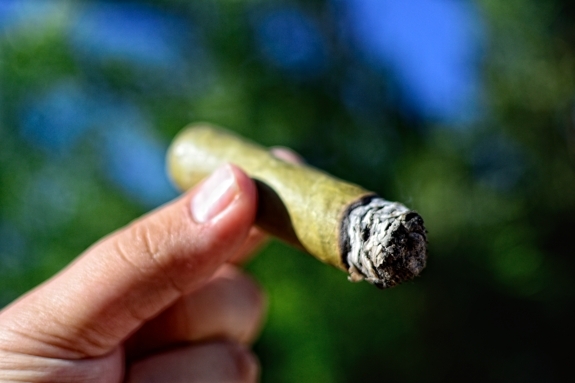 The wrapper, much like you would expect by looking at it, gives off a very natural, very young tobacco scent while the foot pumps out a whole ton of spicy, peppery, strong tobacco aromas. The Edge Candela cut clean and very easily using my Palio double bladed cutter. As expected, the first few puffs off the cold draw are smooth, plentiful, and filled with young and natural tobacco flavors. First Smoke: Wow, this draw is loose. Hopefully it tightens up a bit as I get further into the cigar. Rocky Patel’s Edge Candela starts out with some very smooth, mild flavors such as sweet tobacco, natural and earth flavors, along side some very mild pepper and spice. Ok, now that I have smoked this thing just a bit more in I need to amend two things that have already changed up. 1) the draw is now pumping out smoke furiously, it’s tightened up and dead on and 2) the pepper started out really mild but really turned it up a bit after getting towards the 1 inch mark. That being said, the burnline is slightly wavy and rather thick while it produces a flaky white, and black ash. The cigar really doesn’t give off much, if any stationary smoke. The ash held on for about in inch before giving way. Halfway There: Maybe it’s just me, but has anyone else pulled a spearmintyness from this cigar? I seem to get it off and on in the second third of this Edge Candela. Alongside that mint I am still experiences lots of earthy, natural tobacco, lots of sweetness, a bit of gingerbread, and some slight spice as the pepper has complete faded away. The retrohale on this cigar is very interesting, coating my nasal passage with a really sweet spice and citrus. I totally dig it. The burnline is still pretty squirrely, but I haven’t had to touch up, or relight this cigar so I am ok with that. I am not feeling any nicotine at all as I finish off the second third of this cigar. Finish: Along with a powerful and triumphant return of the pepper, the body in this Rocky Patel Edge Candela is really starting to ramp up as well. Usually when I think Candela, I think boring, and mild. The spice flavors are still lingering while natural tobacco, sweetness, and even some mixed in pine has taken over. All in all this cigar took about 1.5 hours to smoke and I am feeling a mild nicotine kick while the cigar burned a bit wildly but required no touch ups, no relights, and experience no harshness even down to the nub. Overview: While somewhat mild until the end, much like Illusione and Viaje’s Candela releases the Rocky Patel Edge brings Candela wrapped cigars to a whole new level. While it’s probably not something that I would smoke everyday, for what you get for the price the Rocky Patel Candela is a solid stick. 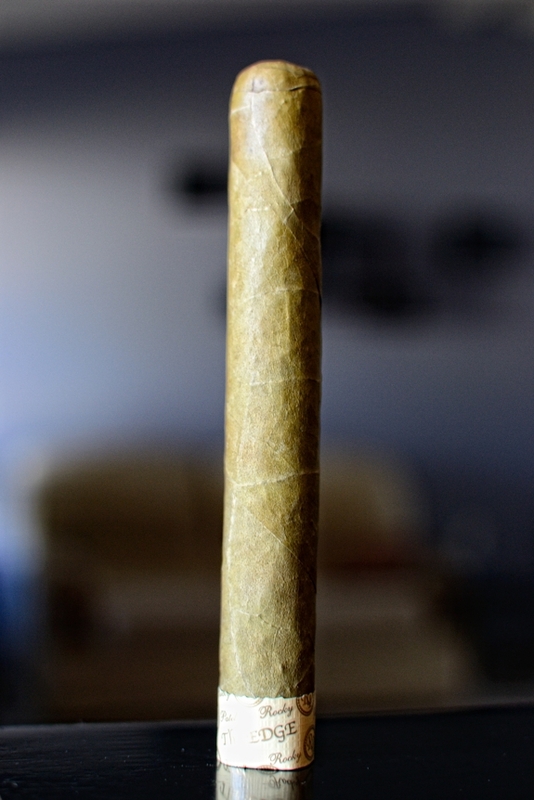 When compared to other Candela wrapped cigars this one is right up there with the big boys. Decently complex, smooth, and flavorful this cigar is perfect for the novice and the seasoned smoker looking for a different type of experience. Let’s not forget the price. The Edge series has always given great bang for the buck and the Candela is just another notch in the series’ belt. Pairing: Yes, another New Belgium Lips of Faith series. This one is on my “buy a ton” list whenever it gets released every year. It’s their seasonal release of Biere De Mars. Biere De Mars is an almost-farmhouse ale, brewed in March (Mars) each year. It boasts some crazy strong orange, and lemon citrus flavors with modest hops, malt and caramel and some awesome cinnamon aftertastes. At 6.2% ABV this beer is perfect for a spring or summer afternoon. I knew this beer would pair perfectly with the Edge Candela’s already heightened citrus flavors, spice, and mild composure. 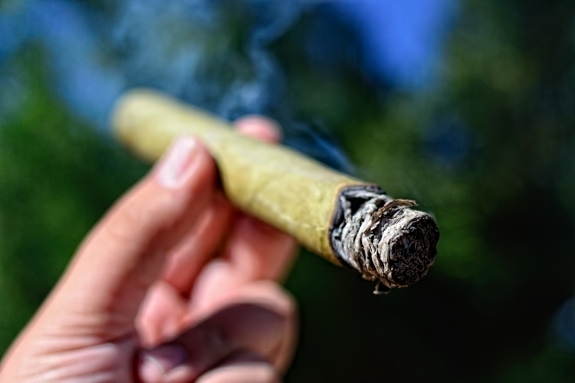 This cigar would also go great with an IPA, an ale, or a saison. Damn you, quit making me add to my “to try” list! lol I probably haven’t had a candela in over 35 years, and even then it was the drugstore variety. The beer will go on the list, as well. HAHA! Sorry Jeff! It’s what we do! Candelas are an interesting breed. Not something I smoke a lot, but they are fun from time to time. Tony~Your review makes me want to not only try the RP Cigar ( mint~ really~ Nice!!) 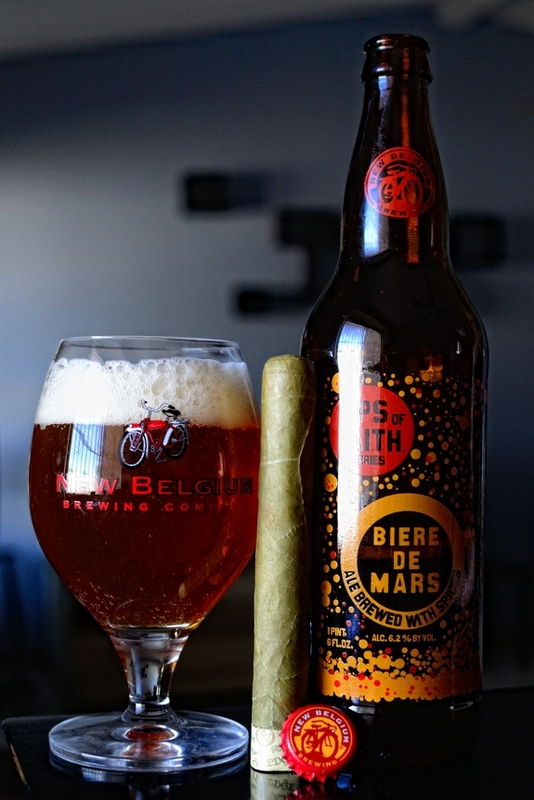 but also try the beer from New Belgium~Lips of Faith series…Nice!! Thanks for the wonderful addition to this fine Tuesday!! I am no sitting at my desk, looking at that pic, wishing I was drinking another! Thanks for the read as always man! Wow. A RP… candela no less… I really enjoyed the -illusione- and Viaje releases. I am not a normal RP smoker at all. Might need to seek these out. Does sound like it could be fun to have a few around. Thanks! I’m not either man, and I can say that I really enjoyed it. Def search for them. The Green Lantern would approve!